A key part of the business model for convenience stores is their round-the-clock service. But a shortage of staffers is prompting some operators to consider shrinking their business hours. Seven-Eleven Japan started a trial from Thursday at 10 of its stores. One in Tokyo is now opening its doors at 5 am and closing at 1 am. Seven-Eleven officials say the trial will continue for at least several months. The say they want to gauge how customers respond to the shorter hours and the effects on sales, deliveries and workers' performance. The officials say they're trying out three different opening and closing times. The stores conducting the trials are directly managed by the operator. But the officials say the plan will expand to franchise stores. 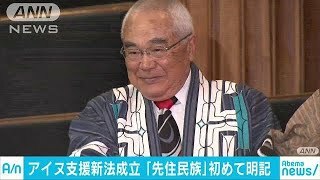 Seven-Eleven Japan executive officer Kazutake Iinuma says the company is conducting the trial in light of social changes, adding the principle of around-the-clock operation will remain unchanged. Iinuma says Seven-Eleven wants to proceed with various experiments from diverse points of view. 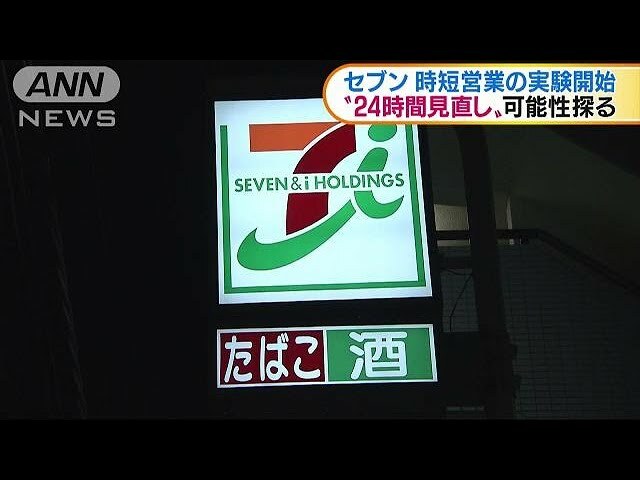 Major Japanese convenience-store chains have made 24/7 operations a rule. But some franchise-store owners are calling for shorter hours, citing difficulties finding enough workers.